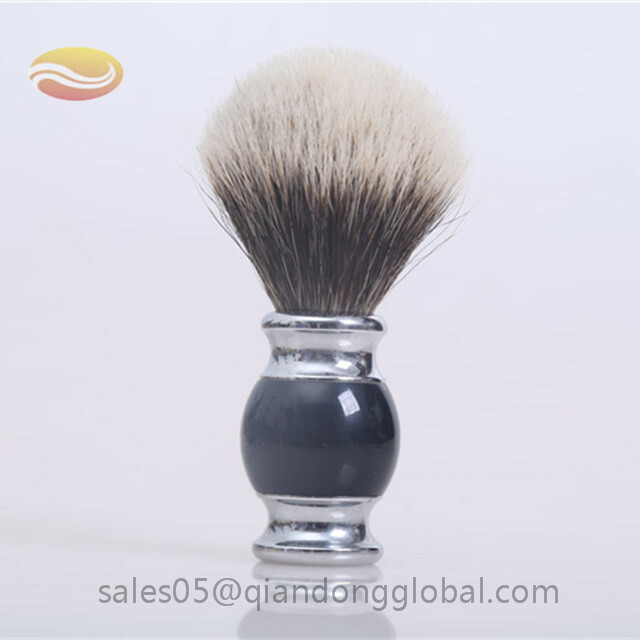 Shaving Brush with Badger Hair Knot is a bestselling product all the time. 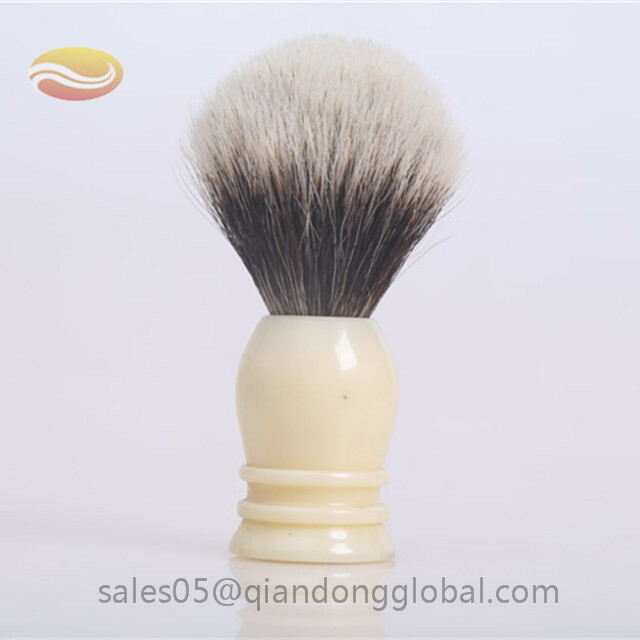 As is well known, Badger Hair is the perfect material for shaving brush. "Two band" or "Finest"badger knots are made up the thicker badger hairs. These bristles are obtained from higher quality grading of badger bristle and the natural tips are left intact. Knots are usually less dense and stiffer than traditional Badger Hair Knots. As such this knot is a favorite with face lathers. These Two Band brush knots have a distinctive two band color pattern. 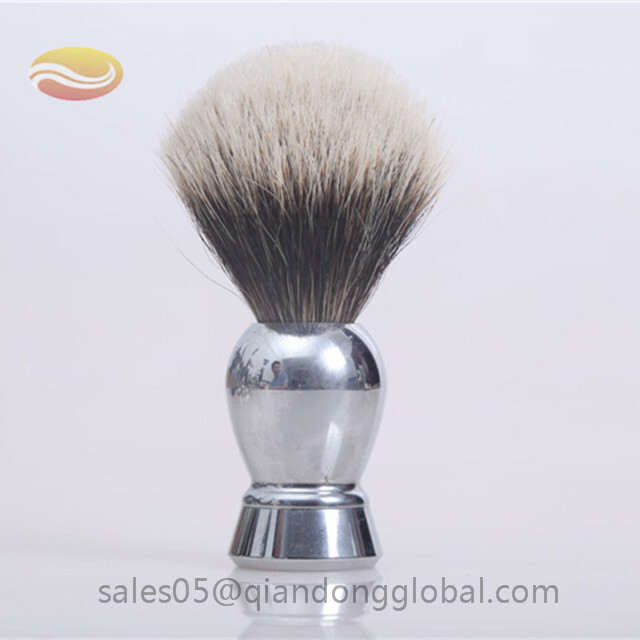 The shaving brush handle can be horn, metal, nylon, plastic, resin, stone, tortoise shell, wood and so on. You can refer to the following pictures, different material handles presenting different colors. No matter which one you like, you can contact me for further information. Using a badger brush is not that much different from having a (cow) leather belt, watchband, or shoes. The badgers are killed for food. So it isn't like they're being killed just for their pelts. Additionally, badgers are considered a crop nuisance in parts of China because they are so numerous. 5. Do you accept LOGO print ? Customized logo is acceptable for bulk orders. Any question , please feel free to contact me. Thank you for browsing our product. Hope you can find what you like here. 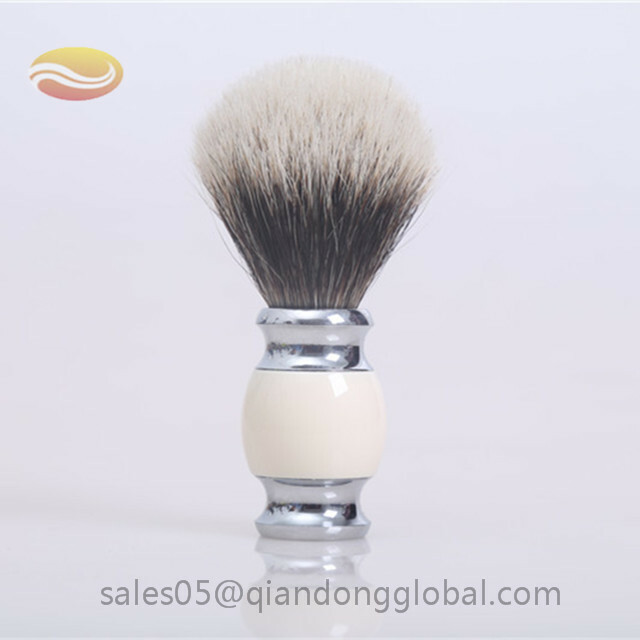 Looking for ideal Two Band Badger Hair Shaving Brush Manufacturer & supplier ? We have a wide selection at great prices to help you get creative. All the 2 Band Badger Hair Shaving Brush are quality guaranteed. 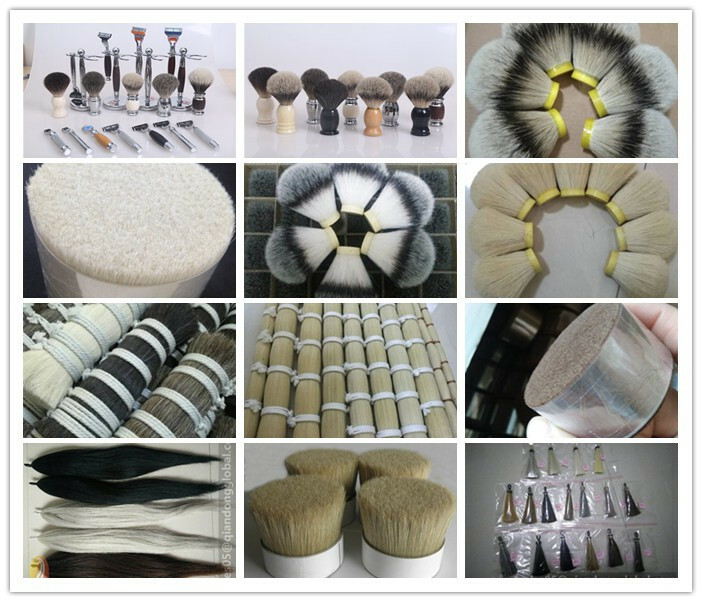 We are China Origin Factory of Badger Hair Shaving Brushes. If you have any question, please feel free to contact us.